This is from Greg Mitchell’s “Change of the Century”. It will remind you of debates now taking place about the Sanders’s campaign today. It is clear that Mitchell’s sympathies are with Sinclair. I should add that the SP grew rapidly in the 1930s, largely because Thomas was very involved with labor struggles such as in Flint, Michigan and because many workers were turned off to the CPUSA. I am not sure if the EPIC campaign helped to torpedo the SP but I am damned sure that James P. Cannon’s entryist tactic surely did. Norman Thomas, arriving in Milwaukee for a meeting of the Socialist party’s executive committee, knew that disaster for his party in California could no longer be averted. Upton Sinclair, the party’s most famous deserter, had rolled up an astounding vote, and he had done it with the aid of vital California Socialists like J. Stitt Wilson (the mayor of Berkeley), young schoolmaster Jerry Voorhis, and ACLU activist John Packard. Membership in the California party, which tripled between 1931 and 1933, had been reduced by half since that fateful day last September when Upton Sinclair changed his party registration from Socialist to Democrat. 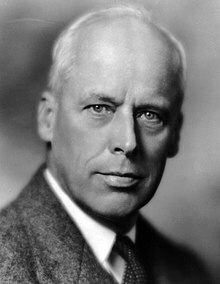 Thomas, the party’s candidate for president in 1932, tried to stop the hemorrhaging, denouncing Sinclair’s switch in no uncertain terms, but with absolutely no success. Had Sinclair lost on August 28, Thomas might have been exonerated: See, he would have said, a Socialist can sell out and still not win a major-party nomination. Instead, it was his dear friend and colleague Upton Sinclair who earned vindication. Words are symbols. You alone, or you with the help of a certain number of California voters, cannot make the word Democratic a symbol for Socialism. That word with its capital D is a symbol for the party which bitterly discriminates not only against Negroes but white workers in the South, for the party of Tammany Hall in New York, and Hague in New Jersey. There are not words enough in the dictionary for you to explain to the great masses of common folk who have looked to your books for leadership the different sense in which you are Democrat. Still less will you be able to explain your defection to the multitudes in Europe who have hailed you as prophet and spokesman of their hopes. Nothing much had changed since then—except that Sinclair had swept the Democratic primary, and hundreds more Socialists had left the party to join EPIC. Thomas had been hearing it loudly and often all week. Letters arrived from across the country. Now what do you think? a party member from Ardsley, New York, wondered. A man in Salt Lake City pointed out that Sinclair had proved that a socialist can win as a Democrat. A woman in Los Angeles begged Thomas not to say another bad thing about Upton. “He is our emancipator,” she wrote. Others pointed out that Sinclair, running for governor of California on the Socialist party line in 1926 and 1930, had amassed only around fifty thousand votes each time. Still, Thomas was unsure of what to do next. But as the executive committee convened in Milwaukee, it was apparent that self-discipline would prevail. Party leaders declared that Sinclair was not a Socialist and that he had neither the open nor the tacit support of the party. The SP would stand by its nominee in California, Milen Dempster, a Unitarian minister. Out in Stockton, California, Milen Dempster wasn’t so all wanted all this support. Just last year, Sinclair had let Dempster, visiting Pasadena on Socialist business, sleep in his bed while Upton and his wife were out of town. Now Dempster was thinking of writing Norman Thomas, a man he idolized, asking for permission to quit the race and throw his support to Upton Sinclair. What a quaint little diddy about the sewer socialists, and just in time to give back handed support for liberal Bernie Sanders. Meanwhile communists were focused on the actual class struggle rather than participating in contests for capitalists to pick the next leader of their bourgeois state, since at least the Paris Commune which Marx said proved that the working class had to smash the bourgeois state since it couldn’t be used. What do Stalin and Sanders have in common? A touching faith in bourgeois elections.